Home » Global » A year after Hurricane Maria, people say DECOLONIZE PUERTO RICO! Meanwhile, a Week of Action to defend Puerto Rico was held Sept. 20-27 (tinyurl.com/yba8zflo). This marked both the Sept. 20 first anniversary of Hurricane Maria’s catastrophic landfall on the island and the 150th anniversary of the first Puerto Rican uprising for independence, Grito de Lares, on Sept. 23. Here are some highlights of the week. In Boston, the one-year anniversary of Puerto Rico’s devastation by Hurricane Maria was marked by about 100 people gathered at Plaza Betances in Villa Victoria. At this historic site, the heart of the city’s Puerto Rican community, mass resistance in the late 1960s stopped the bulldozers of racist “urban renewal” and won community control of the neighborhood. The Sept. 20 rally was organized by Mijente and co-sponsored by organizations, including Raices Borinken Collective, Black Lives Matter Boston and United American Indians of New England. After an opening ceremony that included a Taíno blessing and stories and poems from community members, the demonstrators marched to the office of Seth Klarman, a hedge fund vulture who owns over $900 million in Puerto Rican debt. The marchers carried a coffin decorated with slogans calling for the cancellation of island’s debt. The coffin’s words also announced the true death toll of those who died in Puerto Rico during the hurricane — 4,645 people and still counting. Placing the coffin at the entrance to Klarman’s office, the protesters covered it with flowers to create a memorial. Jasmine Gomez of the Raices Borinken Collective spoke about the colonial policies of the U.S. that have led to such devastation and death on the island. Then demonstrators marched back to Villa Victoria, accompanied by Puerto Rican folk music, to hold a healing space and dance bomba. Over 100 people gathered Sept. 22 in Washington Square Park in downtown Rochester, N.Y., to commemorate the suffering of Puerto Rico during and after Hurricane Maria. A relatively large number of refugees from the hurricane have resettled with relatives in Rochester and continue to need support. Participants were asked to bring needed items to donate, and many did. The rally was organized by the Ibero-American Action League, Puerto Rico Unidos, the Rochester Latino Theater Company and the local Latinx radio station. Both local politicians and rally organizers spoke at the rally, as well as community organizers. Lydia Bayoneta from the International Action Center gave a very well-received talk on the history of Puerto Rico’s colonial past. Bayoneta invited participants to attend the Oct. 27 Tribunal. 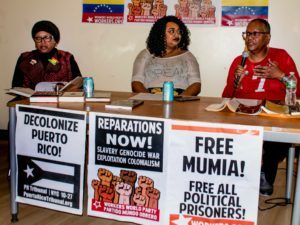 In Buffalo, N.Y., community activists joined with the Buffalo International Action Center on Sept. 20 in solidarity with Puerto Rican demands for independence and reparations. New York City saw a full week of activities in support of Puerto Rico. On Monday, Sept. 17, the monthly action at the United Nations for decolonization and independence for Puerto Rico was held; Workers World Party Secretariat member Teresa Gutierrez was one of the speakers. 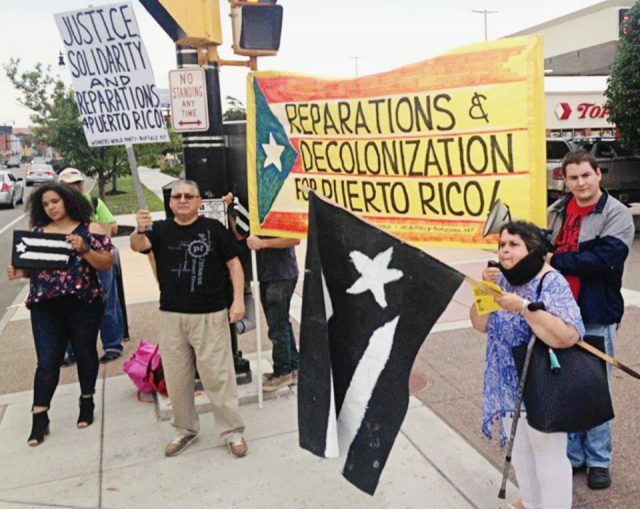 In June the U.N. Special Committee on Decolonization approved a draft resolution for the realization of the Puerto Rico people’s right to self-determination and independence. On Thursday, Sept. 20, an interfaith service, Boricuas Remember, was held at St. Bart’s Episcopal Church, co-sponsored by Power4PuertoRico, New York Disaster Interfaith Services and the PR-NYC Long Term Recovery Group. As the crowd of 500 people left the church, many were very responsive to the call of organizers leaftleting outside to attend the Oct. 27 Tribunal and “put the U.S. on trial for 120 years of colonial crimes against Puerto Rico.” Many took Tribunal leaflets to distribute. Also on Sept. 20, labor unions rallied in strong support of Puerto Rico at historic Union Square on East 14th St., including members from the American Federation of State, County and Municipal Employees DC 37, Professional Staff Congress-City University of New York, Service Employees 32BJ and more. Significant organized delegations, which also included executive board members, came from New York State Nurses Association, Transport Workers Union Local 100 and the Labor Council for Latin American Advancement. 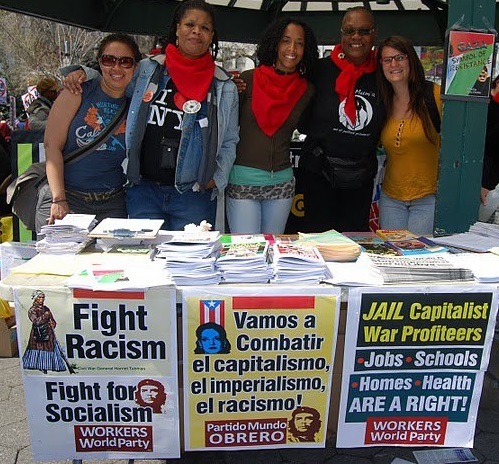 Throughout the Week of Action in New York City, including a Sept. 23 rally on the 150th anniversary of the Grito de Lares, Worker World Party had an active presence with solidarity signs, Workers World/Mundo Obrero newspapers and Tribunal leaflets. At Chicago‘s Federal Plaza, 75 people came out Sept. 20 for a Day of Action for Puerto Rico: Rally against Austerity. The action was organized by Chicago Boricua Resistance, Chicago Teachers Union Latinx Caucus and Mijente. As part of the Week of Action against U.S. colonialism in Puerto Rico, a march and rally took place in Los Angeles on Sept. 23, the Grito de Lares anniversary. The demonstration began at Hollywood and Vine with a brief rally, then continued with a march to Hollywood and Highland, where a final rally took place. 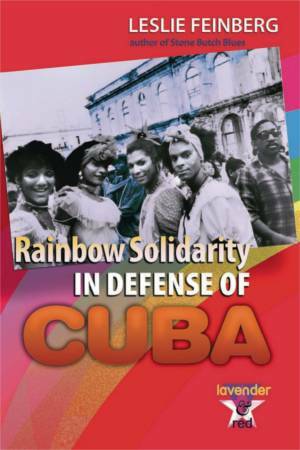 The event featured cultural performances and food, several speakers and chants, including “Viva Puerto Rico Libre!” Convening organizations included Puerto Ricans In Action, SoCal for Puerto Rico, California for Progress, Assistance for the Resistance, Mijente and Familia: Trans Queer Liberation Movement. Members of the International Action Center-Los Angeles attended the rally and march in solidarity with the people of Puerto Rico. Speakers and performers included actress Victoria Ortiz, the Conga Poet Julio Rodriguez, Lawrence Reyes of Puerto Rican Alliance/National Young Lords, Britney Craig of Black Lives Matter-Los Angeles and Nicole Hernandez, co-founder of Puerto Ricans in Action. Demands called for during the demonstration were to cancel Puerto Rico’s debt, end the austerity imposed by U.S. banks, put in place a permanent waiver of the Jones Act (by which the U.S. restricts trade with Puerto Rico), recognize the Puerto Rican people’s right of self-determination and end U.S. colonial rule. In Oregon, the Portland branch of Workers World Party held a Decolonize Puerto Rico demonstration on Sept. 20. Two dozen local organizers and students gathered in front of the Federal Court House to protest the U.S. response to the hurricane that caused the suffering of millions of Puerto Ricans. One speaker quoted San Juan Mayor Carmen Yulín Cruz who said that the U.S. response to the hurricane is genocide. With no effective aid from the U.S. colonizer, thousands of people died during and in the aftermath of the hurricane. 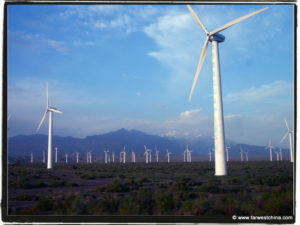 Meanwhile U.S. corporate interests continued to build lavish international hotel chains and highrise condominiums to line the streets of resort beaches. Contributing to this article were Toni Arenstein, Sara Catallinoto, Gene Clancy, Ellie Dorritie, Lyn Neeley, Minnie Bruce Pratt, Jeff Sorel and Workers World Boston and Los Angeles bureaus.